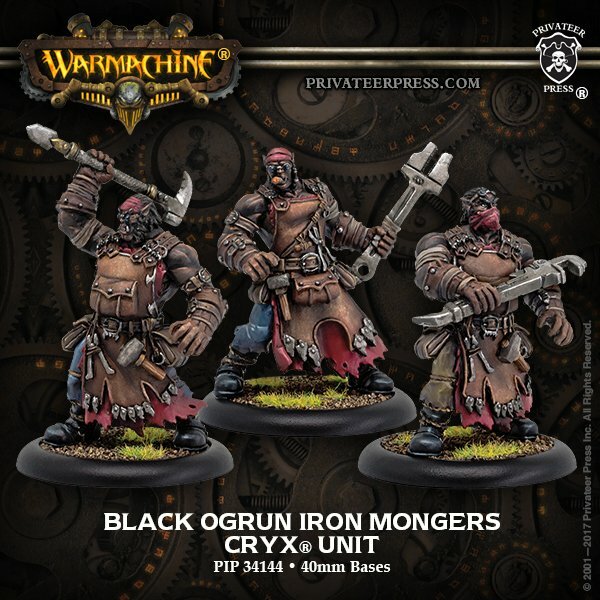 The Black Ogrun Iron Mongers will keep your Warjacks running long after they should be dead. Just a couple of new releases this week folks. 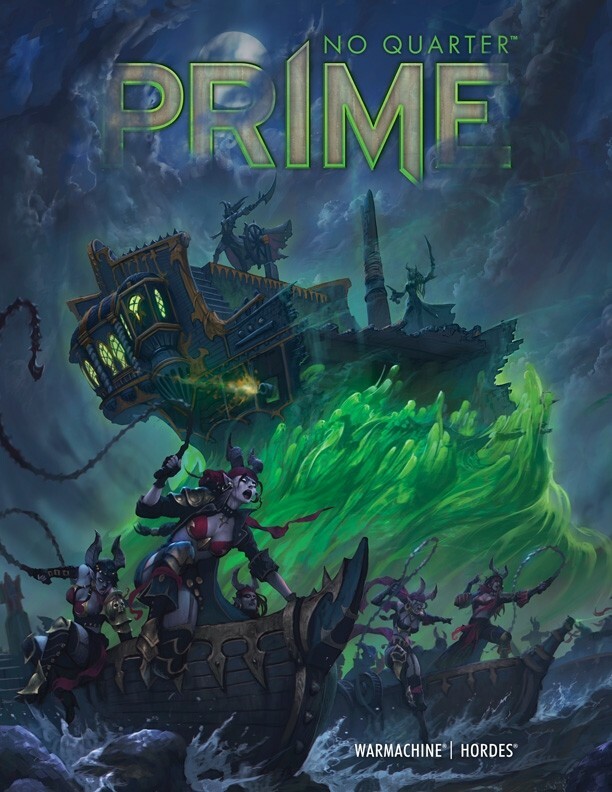 We see the final release of Jussika Bloodtongue, the Queen of Blood, who will eat you for lunch, both metaphorically and literally, and she is joined by the Black Ogrun Iron Mongers who mix metalsmithing with evil blood magic (staying incredibly on brand for Cryx), and No Quarter Prime #4, which introduces the big boat everyone’s been waiting for. Iron mongers are black ogrun metalsmiths who combine their craft with rituals of blood and dark magic. The blood-forged weapons they create would be a reason enough for any captain to take iron mongers on as crew, but these ogrun are also skilled in the repair and maintenance of Cryxian ’jacks. 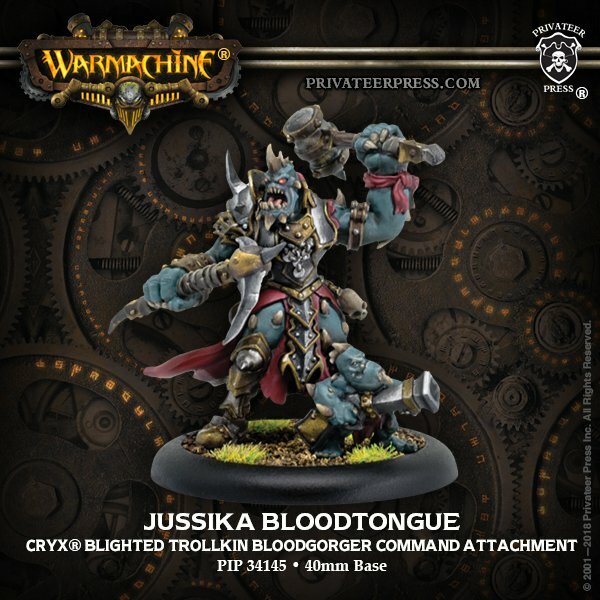 Feared by all in the port towns of the Broken Coast who know of her exploits as “the Queen of Blood,” the blighted trollkin Jussika Bloodtongue is a favored lieutenant of Slaughterborn, a brutal taskmaster who leads hosts of Bloodgorgers and marauders in great orgies of destruction. She has become one of the most dreaded and infamous trollkin in the Scharde Islands. “The Fire & the Forge,” a unique retelling of the story of WARMACHINE from the very beginning. In this third installment: the Protectorate declares war, Skarre Ravenmane unearth’s betrayal, Kommandant Irusk oversees an execution. “Hostile Territory,” where we feature a particular location in the Iron Kingdoms and provide you with detailed background information as well as rules for scenario play and instructions to build themed battlefield elements. This issue, we take an in-depth look at the ancient site of blighted carnage, the Castle of the Keys. ​​“After Action Report,” an in-depth look into the final model stat changes from Community Integrated Development. This issue, we ride the waves of the Black Fleet! A return to strange and unusual side of the Iron Kingdoms RPG with part two of the Strangelight RPG. This installment gives players everything they need to create their own unique Strangelight Workshop characters! The new Theme Force series, your source for in-depth expansion material for WARMACHINE and HORDES. 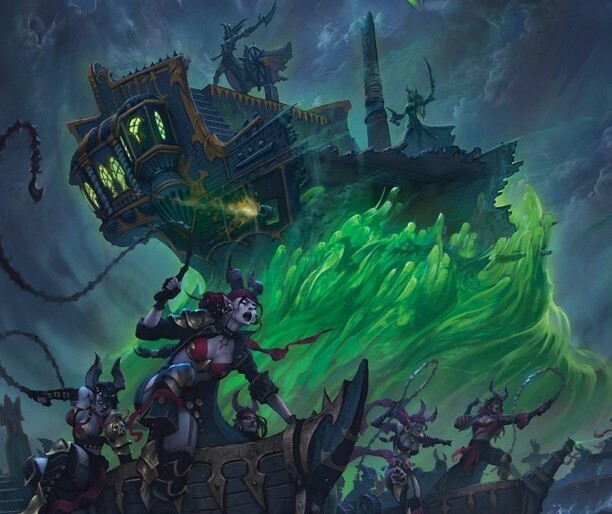 This issue sets sail on a tide of death with the Pirates of the Scharde Islands Theme Force for Cryx.